Lorin Young recently joined the Merrill Lynch Wealth Management Team as a trainee for the Team Financial Advisor program. An Atlanta native, Lorin followed in her mother’s footsteps and joined the JLA in 2012. Her previous professional experience in non-profit and corporate event planning led her to Fund Development where she has held a number of positions. She continues to volunteer with Kate’s Club, her first placement, and served as an alumnae representative for The Lovett School. 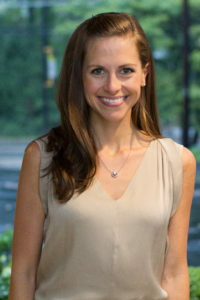 Lorin studied political science and psychology at the Southern Methodist University in Dallas, Texas and currently resides in Buckhead.